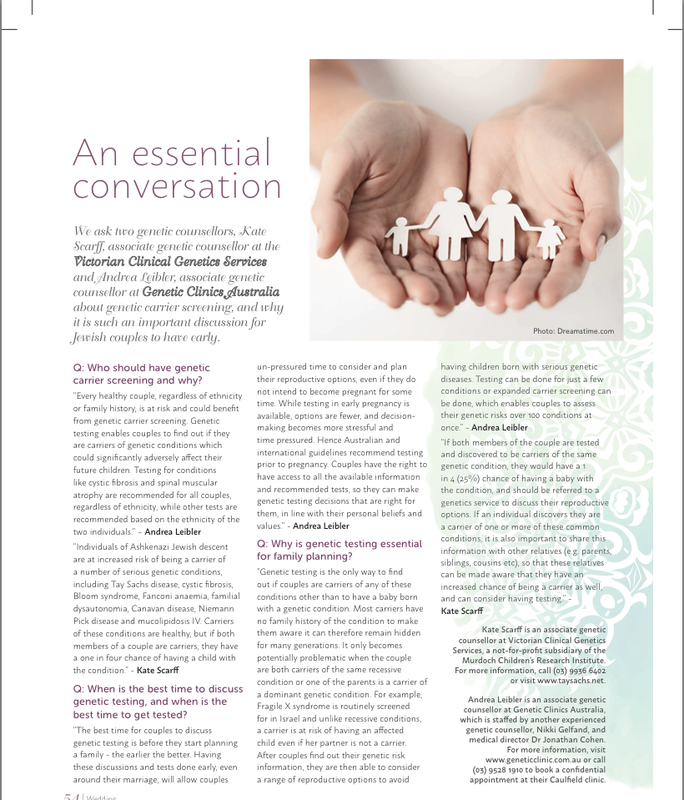 We are featured in the current Australian Jewish News Wedding Supplement which came out this week discussing the very important topic of genetic carrier screening. Leading up to a wedding is an exciting time in a young couple’s life. They are about to embark on life’s journey together, and may have dreams of what their future life, and future family may look like. Just like a wedding takes a lot of planning, so too should trying for a baby, with many important things to consider. One important aspect is genetic carrier screening, which helps determine if either partner carries any hidden genetic mutations which can cause serious health implications for their children. All couples are at risk of being carriers, even if they themselves are healthy and have no family history of any genetic conditions. If the two members of a couple are both carriers of the same condition, there is a 1 in 4 chance of having a baby born with that condition. Examples of these types of conditions are cystic fibrosis and tay sachs disease. Genetic carrier screening should be offered to all couples planning a family, ideally before pregnancy (i.e. preconception). This means people can make their own, informed choices, to hopefully avoid the diagnosis of a serious genetic condition in their child. Early detection enables couples to understand the implications of any results, and the options available to avoid passing down these potentially life changing genes. Testing should be considered even if couples have already got a healthy child, but are planning more. 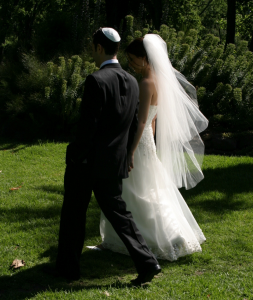 See our feature article from the Australian Jewish News Wedding Supplement here, for more information. What is Preconception Carrier Screening?